Though Arundel has recently moved to the Pioneer Square area, its old location was just a few blocks from Pike Place Market. Selling new, used, and rare books, it has something to tempt everyone. I found one of my rare nonfiction buys there: a copy of Bruno Bettelheim’s The Uses of Enchantment, on the psychology and importance of fairy tales. Very intriguing. Just as intriguing as Arundel’s spiral staircase that leads into an airy balcony packed with books. 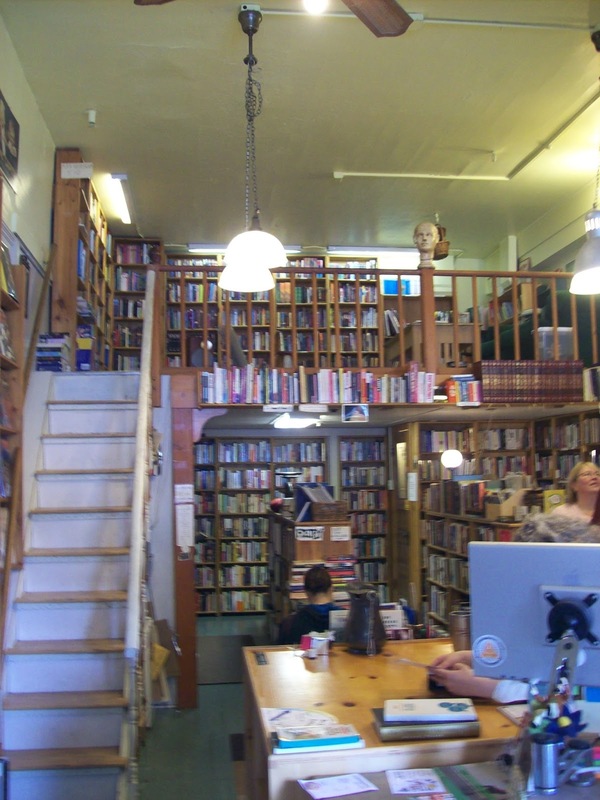 When my old favorite, Twice-Sold Tales, left the Lower Queen Anne area, Mercer Street Books rose from its ashes. A quick bus ride away from my school, this bookstore’s big, inviting windows often lured me to step inside…probably more often than I should have. In addition to selling used books, they also buy used books. To me, selling books feels like selling children. I could perhaps conceive of passing along a few “less-favorite” titles in order to make room for more books on my shelves. But I have this hunch that if I were to trade books for money, I’d instantly trade money for more books. Then I’d leave with more than I brought. It’s one of the unfortunate laws of book magnetism. Definitely my favorite independent bookstore in Seattle, Ophelia’s buys and sells used books. I found a nearly-new copy of Umberto Eco’s The Name of the Rose for about $7 here while I was working on my college senior project. But the real draw of this bookstore is its charm. See that upstairs loft? The ceiling is only 5′ 10″ off the floor. And guess what’s shelved up there? Children’s books. Oh yes. Perfect. There’s always at least one cat lurking around Ophelia’s. Even though cats make me sneeze, they do lend a certain ambience to a quirky little book paradise like this one. And I love that the store is named after a character from Hamlet, my favorite Shakespeare play! Ophelia’s also has a spiral staircase. 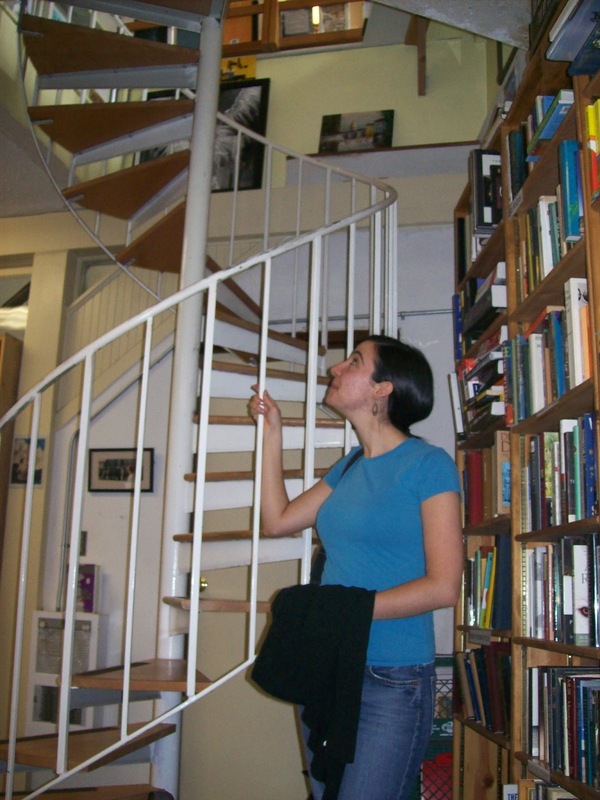 Have I mentioned that I think spiral staircases are awesome? Almost as awesome as sliding ladders. Those will show up in another bookstore, another day. This concludes our tour of the Rainy City’s used bookstores. I know there are many more, though, so if you have a favorite that’s not listed here, please leave a comment! 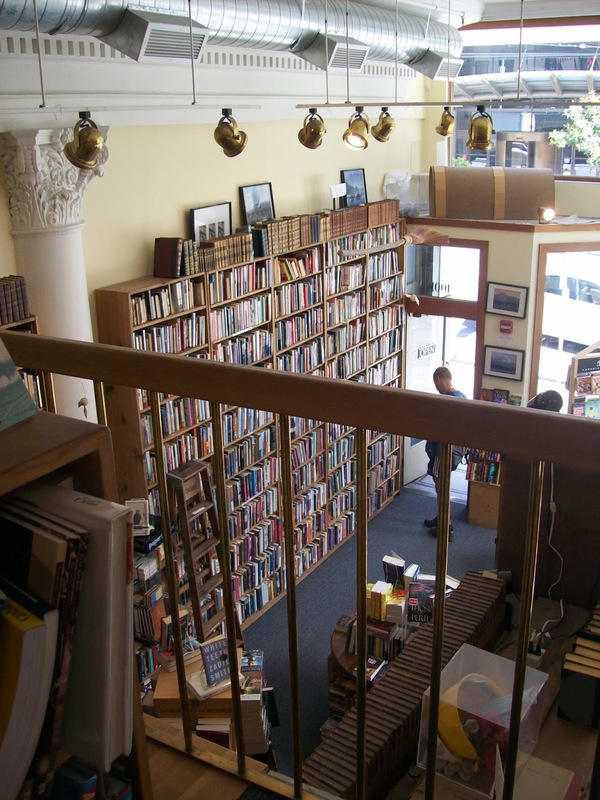 Ooh, what awesome bookstores. Thanks for highlighting them! Now I know where to go next time I’m in Seattle.